The sanction imposed on 23 December 2009 – Resolution 1907(2009) and strengthened on 5 December 2011 – Resolution 2023(2011) is finally lifted on 14 November 2018 – Resolution 2444 (2018), thanks to the Qeerros and Gadaa System Grandmaster Dr. Abiy Ahmed. The toothless sanction is lifted from their[the PFDJites and Nihna – Nisu cheer leaders] coward head. As goony as they are, they were campaigning non-stop against the sanction which they were dismissing it as a toothless sanction. No matter how they tried to make it toothless, the sanction had lots of teeth – double, 64, all diamond-tipped teeth. It made PFDJ toothless. 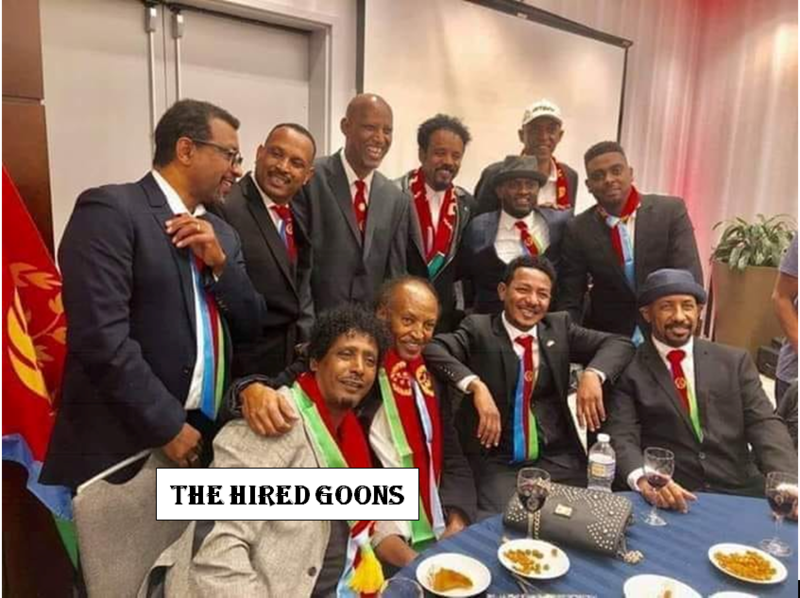 As a result, it forced PFDJ to change its strategy of dealing with its imaginary enemy (the Woyane) from direct confrontation to a more moderate and indirect propaganda supported by proxy-war conducted by confused rebel groups. The sanction had lots of tools to make PFDJ regime powerless. It blocked the regime from buying arms that made it impossible to conduct direct war, frozen bank accounts and assets of targetted politicians and made travel outside the country impossible which had a drastic impact in diminishing their diplomatic and lobbying activities. Through the sanction that stayed for almost a decade PFDJ politicians were diminished to a state where they were unable to conduct their sinister political agenda as they wanted. It let the PFDJ political arena to be left with only and only one last option – normalize its relationship with Ethiopia and other neighboring countries. To achieve this, it channeled all its remaining forces to remove any force that made PFDJ unfit for a regional player – the Woyane. For good, PFDJ played well with the last card it had in its table – to change the powerhouse in Ethiopia. For this, the Oromos were evangelized through their old but lost treasury found by an Eritrean Anthropologist after almost forty years of hard work. Once the Gadaa System was made ready, the good Professor stationed himself in Asmara in search of new generation Oromo disciplines who are fearless from Ethiopian rulers brutality. Thanks to the relatively free environment created in Ethiopia, these Social Media Activists influenced new generation Oromo youth were able to organize themselves in small groups, calles the Qeerros, soon emerged as the fastest growing movement against the Woyane controlled Ethiopian government. These youth are literally product of Gadaa System Prophesy. They were fascinated about their new Holy Gadaa Book. It was not complicated and was easy to recite it. Once the book reached into their door front, it ignited their ego of becoming the players of change. It gave them legitimacy and pride to create an Oromonized version of Ethiopia – the Gadaanized Ethiopian System. The Oromos adored their new but old Holy Gadaabook. Professor Asmerom Legesse is considered their Messiah. And, they accepted the Eritrean dictator, as their Gadaa-given honorary emperor. And they did it. Thanks to the new Grandmaster of Gadaaevangelist Dr. Abiy Ahmed and his brothers(Gadaa Brotherhood members and their disciplines), once he controlled the throne, he welcomed his emperor, Dictator Isaias Afewerqi to the Old Ethiopian house, the House of Solomon, the House of the Ethiopianists, the House of the Council of Ethiopian Royal Families, the Amharas. Now, the toothless sanction is lifted. The goons are dancing and Eritreans are continuing to die. What is at stake for Eritreans? Nothing has changed for Eritreans. We, the oppressed people, will continue to suffer as we have been before and during the sanction. The sanction has nothing to do with Eritreans and was not meant to solve Eritrean problems or stop suffering. Before, Eritreans were subjected to PFDJ imposed sanction and the result is widespread and systematic crimes which are proved to be “Crimes Against Humanity” that is continuing to exist since 1991. The Grandmaster of Gadaa System and his disciplines may adore their honorary emperor, but for us[Eritreans], he is a brutal killer. One day, very soon. the Gadaa-Evangelists will realize they stood on the wrong side by honoring a regime similar to what they know and fought against. The world should know that we do not want any Messiah. What we need is just full freedom. What we are standing for is for our dignity and to fight for our RIGHTS and Democracy. The goons will continue to support the regime and we will continue to fight against Tyranny. The time will come were all justice-loving Eritreans will celebrate for the freedom they are looking for.